Often referred to as the Canary Islands Lap-dog, the Bichon a poil fries, or the Bichon Tenerife, the Bichon Frise is a breed that is known for its merry, affectionate temperament and its white, puffy appearance. French, Spanish, and Italian painters and royals throughout history have loved these dogs, and they continue to be a popular breed among individuals who want a cheerful, indoor companion. In 1971, this breed was added to the American Kennel Club’s Miscellaneous class, and later in 1872 it was added to the AKC Stud Book registration. Here’s a closer look at the Bichon Frise breed, it’s history, appearance, grooming needs, and other helpful information for individuals considering this breed of dog. 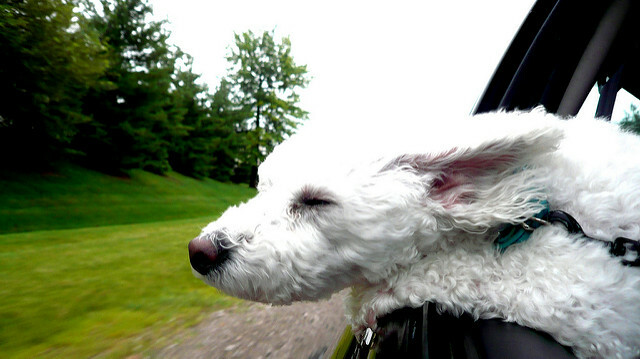 Bichon Frises have a long history that goes all the way back to the Mediterranean. In this area, these dogs were appreciated for their friendly, kind disposition. In fact, they were often traded and transported by sailors from place to place. 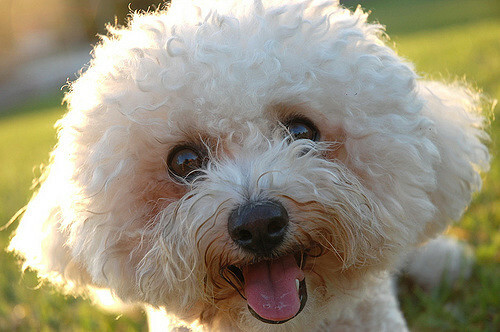 It’s thought that the Bichon Frise descended from water spaniels, and the breed quickly spread through Europe, becoming particularly popular in Spain. Later, Italian nobility became obsessed with these small dogs, and they would become highly favored by the French in the 1500s. They would also become well-known on the Canary Islands during the 15th and 16th centuries. Eventually, in the 1800s, these dogs lost their popular with the European aristocracy. However, they did become a popular common dog, performing in fairs, circuses, with organ grinders, and more. The breed was reestablished after the first World War by a few fanciers in Belgium and France. 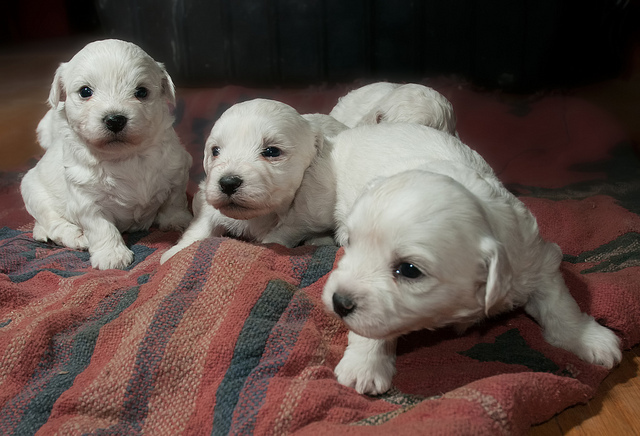 In 1933, France adopted the official breed standard for the Bichon Frise, and in 1934 the breed was admitted to the French Kennel Club’s studbook. It wasn’t until the 1950s that the breed was introduced to the U.S., and later in 1973 Bichon Frises would first debut in the American Kennel Club dog shows as part of the Non-Sporting Group. 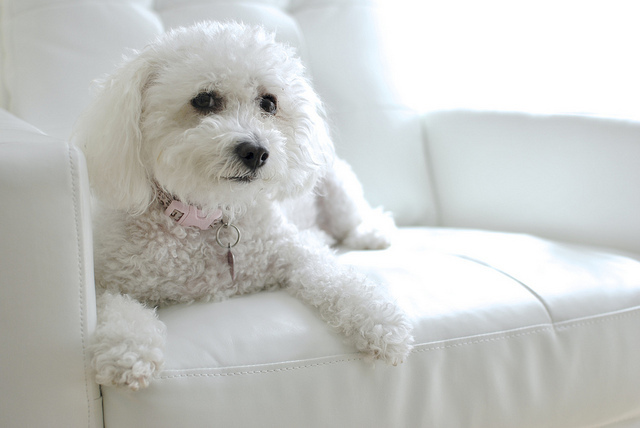 The Bichon Frise is small and has a cute “powder puff” look that many people find adorable. These dogs are generally white with loosely curled, thick white coats. When they are shown in the ring, they are trimmed so they have a round look. However, Bichon Frises that aren’t shown often have their coat clipped a bit shorter. The dogs have black noses and expressive, dark eyes that contrast with their brilliantly white coats. They have a plumed tail that hangs over their back. 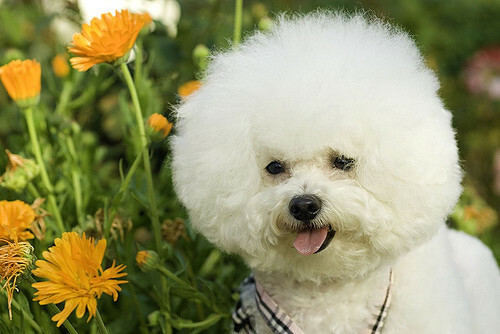 While the Bichon Frise only comes in white, some dogs may have some shocks of buff or cream hair on their body or around their ears. The breed features a double coat that gives them a unique texture. They have a coarse topcoat and a soft, thick undercoat. Instead of lying flat against their body, these dogs have hair that puffs out, giving them an appearance that is soft and fluffy like a cotton ball. These small dogs are usually only 9 to 11 inches high at their shoulder. 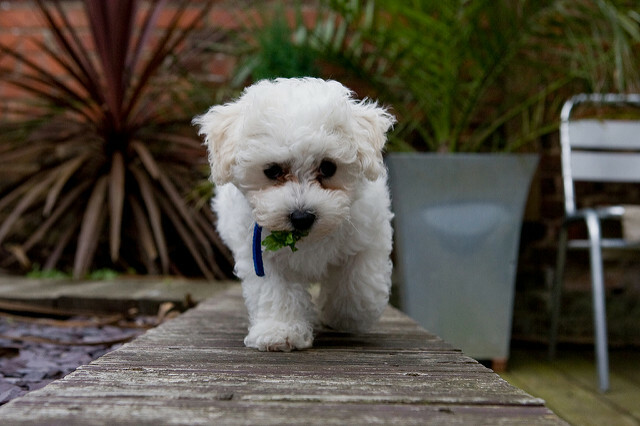 Bichon Frises generally weigh from 7 to 12 pounds as adults. The Bichon Frise is well known for its merry temperament and inquisitive nature. These dogs love being around people, and they are great with children as well. Since the breed is very easy to live with, they will bring a smile to the face of anyone. They enjoy going places and love going with people on drives, runs, walks, and more. Bichon Frises don’t need a lot of activity. A bit of play time and a couple walks will be fine for this small breed. For this reason, they are great for apartment dwellers and elderly individuals. The breed is also very easy to train, since they love pleasing their owners. They do well with treats and positive reinforcement. 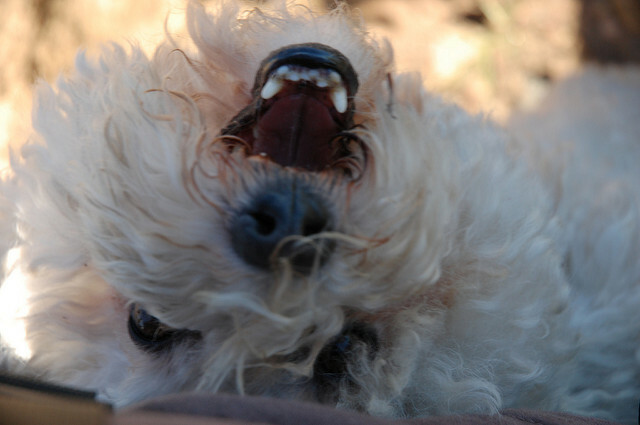 No force is necessary when training Bichon Frises, and using force can actually damage the psyche of these dogs. Since they perform well in formal training settings, they can easily be trained to perform advanced tricks. Even first time dog owners will do well with a Bichon Frise, since they are easy going and they get along great with other people and animals. Unfortunately, it can be difficult to house train this breed, so buyers may want to have Bichon Frises trained by a breeder before they bring the dog home. Since they love people so much, they do deal with separation anxiety if they are left alone too long. Separation anxiety may result in crying, chewing, barking, and other problematic behavior. They are also barkers, and they have a shrill, high-pitched bark that will let you know when someone new is arriving. It’s important to teach these dogs a stop barking command while they are very young. Since they have a double coat, Bichon Frises require a lot of grooming. 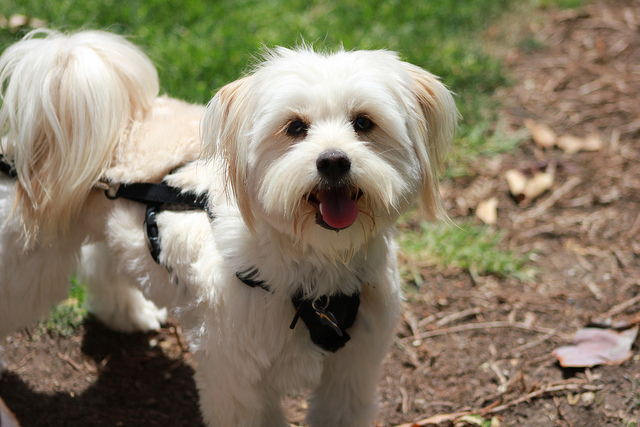 Since they are prone to allergies and skin problems, it’s essential to keep them well groomed. Their coats should be brushed at least a couple times each week. Since their white coats begin to look dirty quickly, they need to be bathed fairly often. It’s important to brush their coats before bathing them, since their hair tangles naturally in water. To keep the coat manageable, it’s best to have it trimmed every six weeks. Heading to a groomer for nail clippings, baths, ear cleanings, and trims is a great idea, since their grooming needs can take a significant amount of time. Since these dogs are prone to eye tearing, a problem that may stain their white faces, you may need to talk to a veterinarian about getting a solution that will reduce tearing, keeping the white face of your Bichon Frise clean. The Bichon Frise has no working roles. They have always been loveable pets.